In June Highland West Energy successfully commissioned with The City of Missoula, MT a 220 kW Biogas Combined Heat and Power system. The system runs 100% on biogas from the treatment plant or a biogas/natural gas blend. How The City of Missoula Took Waste Gas and Turned It Into Something More. 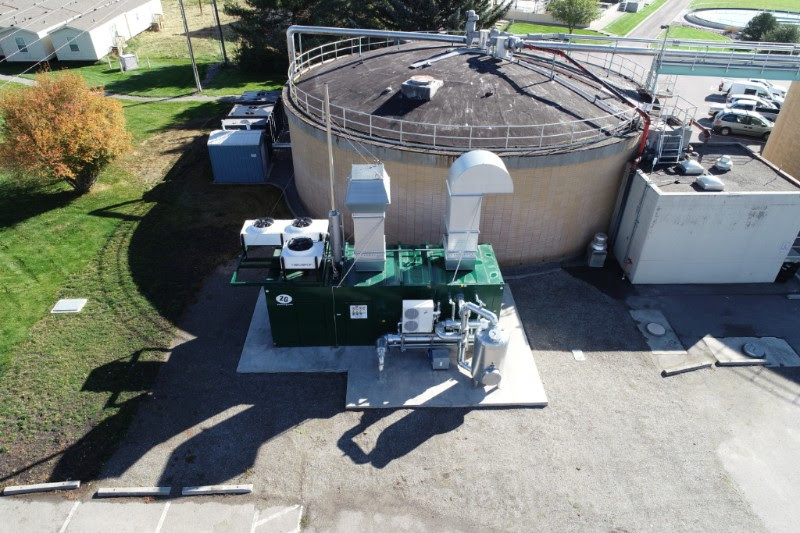 In 2016 The City of Missoula placed an RFQ for a system to turn their wasted biogas from the wastewater treatment plant into something more usable. They wanted to be efficient in how they processed waste. in 2017 Highland West Energy was awarded the Combined Heat and Power (CHP) portion of the RFQ to effectively use the biogas to produce heat and electricity for the facility via the Yanmar Biogas Cogeneration Package (Biogas CP). In working with Morrison-Maerle Engineers out of Helen, MT, we were able to come up with an effective design and system for The City. This Co-generation system has been running since the end of June 2018, providing significant heat and electricity for their facility.